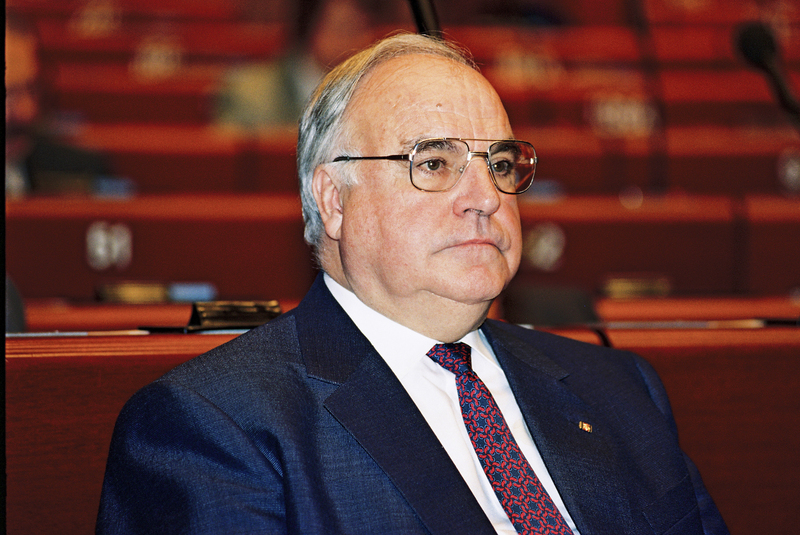 Helmut Kohl died on 16 June 2017 at the age of 87. The father of German reunification and a strong supporter of European integration, he leaves a long-lasting legacy. A European ceremony of honour is planned for the former Chancellor and Honorary Citizen of Europe, in the European Parliament in Strasbourg, on 1 July 2017. 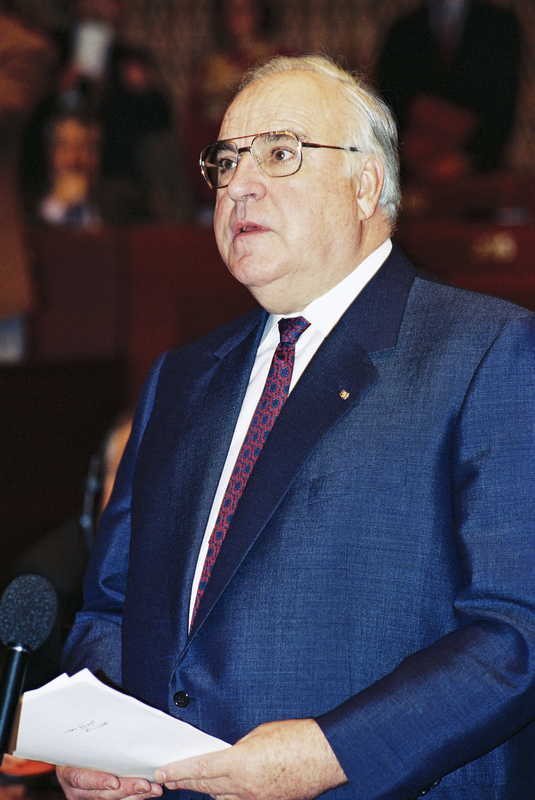 In tribute to Helmut Kohl’s contribution to ‘the creation of German unity and the consolidation of European unification, culminating in Economic and Monetary Union’, in 1998 the European Council attributed him the title of ‘honorary citizen of Europe’. Jean Monnet and Jacques Delors are the only other European personalities to have been awarded this title to date. 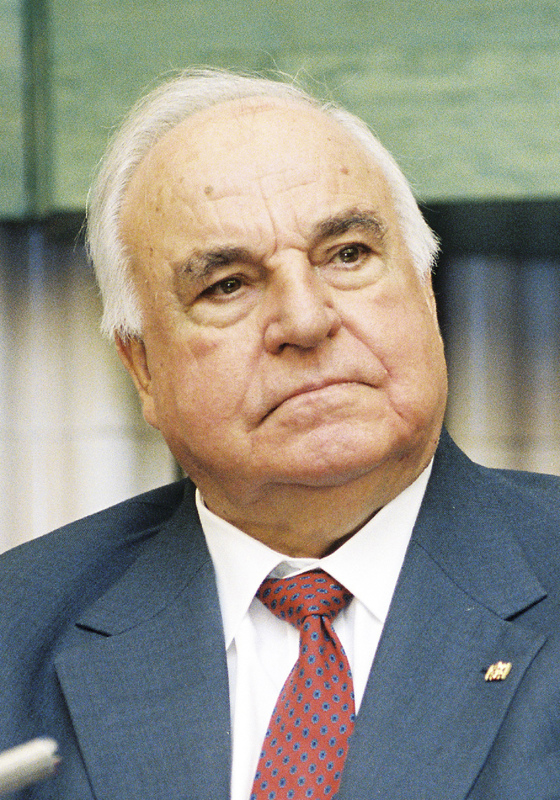 Helmut Kohl found himself at the top of the German political landscape at a challenging time, with Mikhail Gorbachev deciding to loosen the Soviet Union’s grip on central Europe, East Germany in a difficult economic position and the Cold War about to end. His 10-point programme led to the reunification of Germany in 1990, for which Kohl developed a very generous plan to support economic recovery. Nevertheless, in order to prove wrong British, French and Soviet concerns about the future policy of a united Germany, he decided to confirm the 1945 borders with Poland and Czechoslovakia, and to ensure European unification through the Maastricht Treaty and the monetary union. 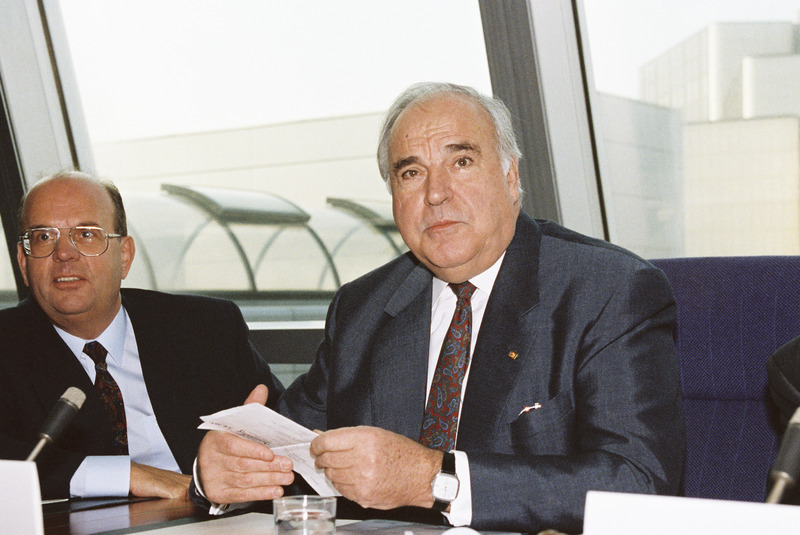 The idea of monetary union, and in particular the creation of the single currency, was daring, and a clear sign of Kohl’s commitment to further integration. He left German politics in 1998 just before the euro currency was introduced, anchoring the reunited Germany in a united Europe. As he declared in October 1990, ‘Germany is our fatherland, Europe our future’. This double vocation appeared clearly during the joint speeches of Helmut Kohl and François Mitterrand before the European Parliament in November 1989. 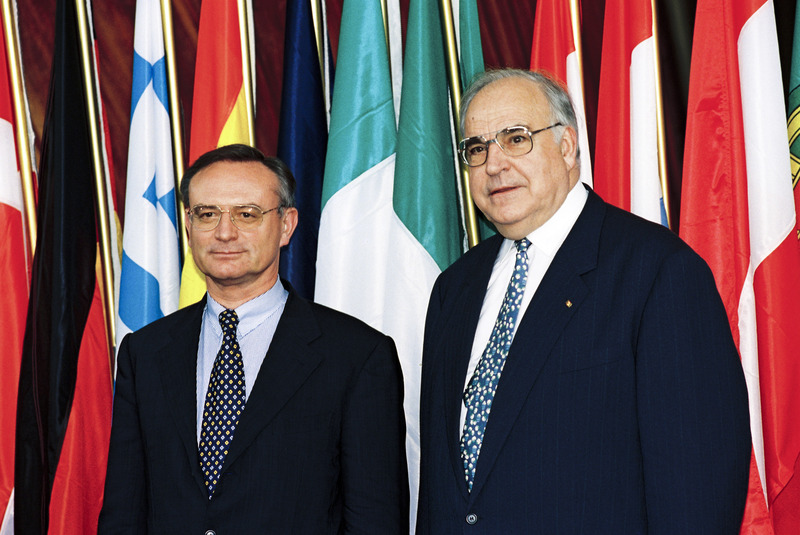 Before and after 1989, Kohl worked with two French Presidents (Mitterrand and Jacques Chirac) over a decade and a half, to strengthen European reconciliation and cooperation, symbolised by the 70th anniversary commemoration of the First World War, at Verdun in 1984. He also built strong relationships with Poland, where he was when the Berlin Wall fell in 1989, and the borders of which he recognised. Under his leadership, Germany endorsed the idea of EU enlargement in central Europe and developed good working relationships with both US President Bill Clinton and Russian leaders. 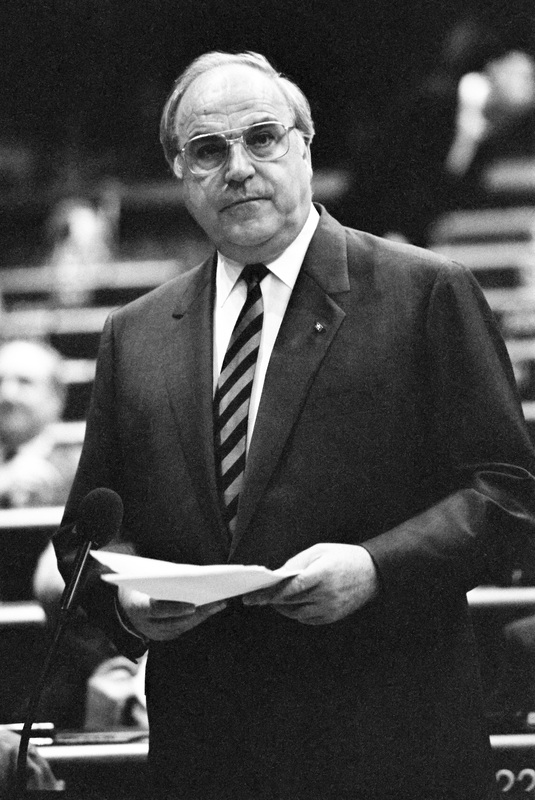 Born in 1930, Helmut Kohl lost a brother during the Second World War. From that moment, he always promoted the value of European unification to defuse the risks of war on the continent. 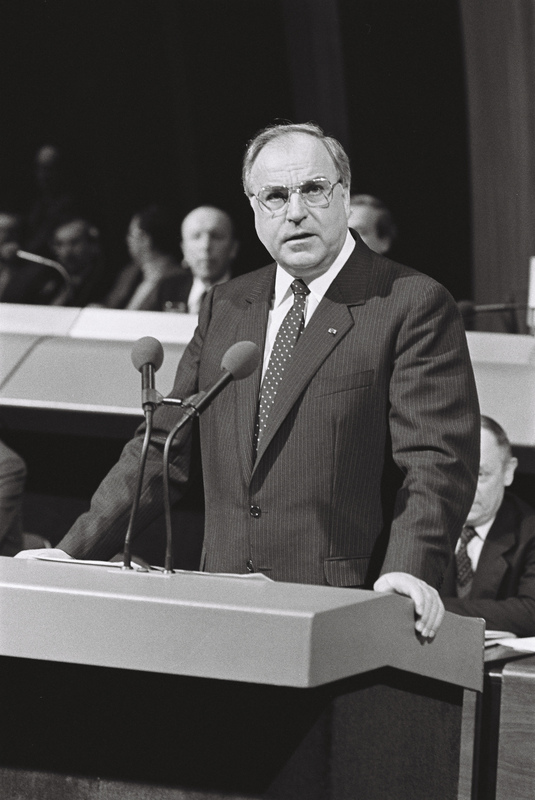 Only a year after the end of the war, Helmut Kohl enrolled in the Christian Democratic Union (CDU) of Konrad Adenauer, becoming its youngest party member. He then pursued his studies in law, history and political science, but devoted a large part of his time to politics, riding around Rhineland-Palatinate on a Lambretta scooter he bought with his earnings from a student job as a stone polisher at BASF. Although he took a job in a foundry after his studies, he rapidly climbed the ladders of German politics, being elected the youngest member of the Landtag of Rhineland-Palatinate in 1959. Only ten years later, he became Minister President of the Land, once again being the youngest of his peers. In 1973, he became chair of the CDU, and three years later, he was elected for the first time to the Bundestag, where he led the opposition until a parliamentary crisis enabled him to take the position of Chancellor in 1982, a position he held until 1998. 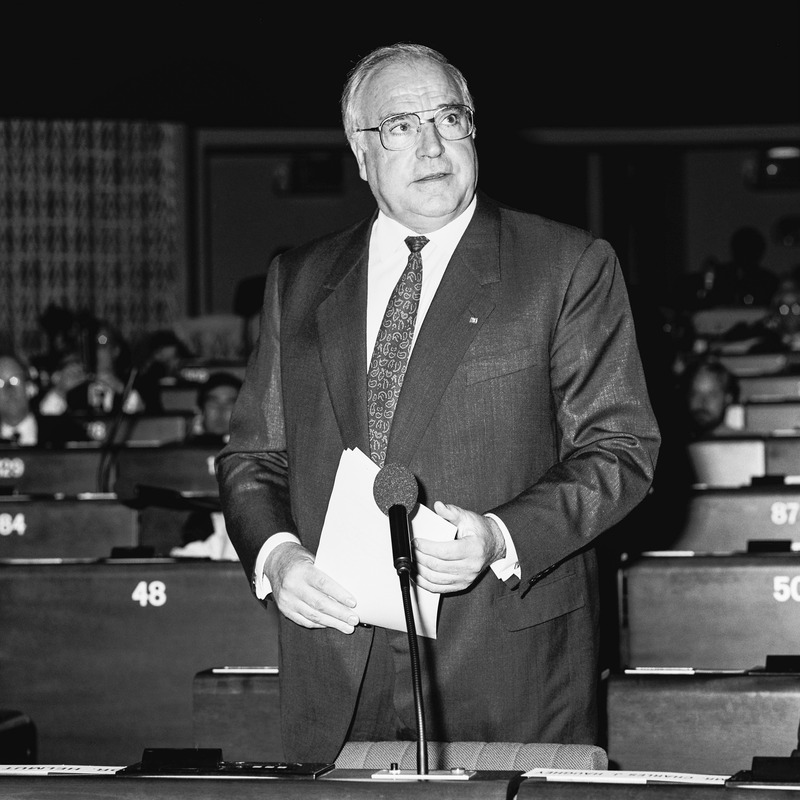 Read this At a glance publication on ‘Helmut Kohl, citizen of Europe‘ in PDF. Visit of the German Federal Chancellor to the EP in Strasbourg. Meeting of the German fraction of the EPP with the former German Federal Chancellor.